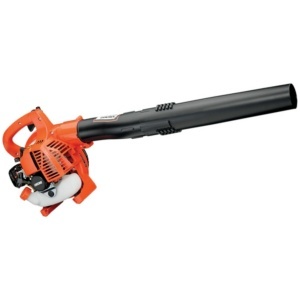 The ECHO PB-2520AA leaf blower is powered by a 25.4 cc professional-grade, 2-stroke engine. The ECHO PB-255LN is perfect for low noise environments that require power and performance. The low-noise ECHO PB-265LN backpack blower was designed for comfort and ease. Being a cinch to start as well as having a lightweight design makes it about as user friendly as you can get with a backpack blower. The ECHO PB-580T backpack blower is as comfortable as it is powerful. At just over 22 pounds and vented backed, you can work longer hours without the stress on your back and shoulders. The PB-770T is a professional-grade backpack blower powered by a 63.3cc engine. This blower will get even the largest jobs done in no time! 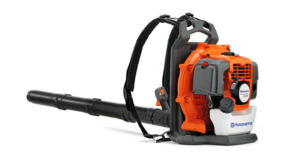 The Husqvarna 320iB battery blower offers low noise operation and zero direct emissions meaning it is ideal for work in sensitive residential, indoor or enclosed environments. Suitable for both left- or right-handed use, it features excellent ergonomics, impressive performance and class-leading low weight. 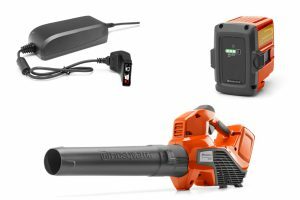 Battery swapping is quick and easy, allowing convenient operation, and it is compatible with the complete range of Husqvarna batteries and chargers. In addition, intuitive cruise control helps users set and maintain the correct air volume for the job in hand without pressing the power trigger, leading to extended run time and reducing unwanted object blow away. Lightweight, easy to use, and quiet, the 436LiB is the most powerful Husqvarna battery powered leaf blower. An easy tap on the keypad starts the machine instantly at all times and the cruise control means full focus on blowing leafs and debris away. This electric leaf blower also has a boost power mode that gives you extra power when needed. It’s powerful and eco-friendly. Best of all, it’s cordless. Battery and charger not included.